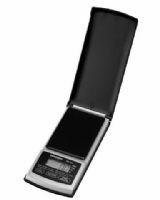 Founded in 1923, Tanita today is a world leader in the field of Precision Electronic Scales and Body Composition Analysers. The Company’s international headquarters are located in Tokyo, Japan, with manufacturing facilities in Japan and China. It also maintains sister companies in the USA, China and Hong Kong and a European Head Office in Amsterdam. After building and maintaining a highly successful business manufacturing bathroom scales, Tanita focused its developmental research on the links between weight and health. Following extensive research to establish the relationship between excess body fat, heart disease, diabetes and certain cancers; Tanita introduced the world’s first Integrated Body Fat Scale to medical research professionals in 1992. 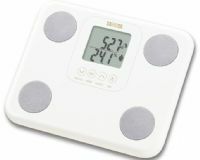 Using this same technology, Tanita then developed the world’s first Body Fat Monitor Scale for personal use in 1994. Tanita continues to lead the way in the scale category for both its personal and professional models. Recent innovations include being the first to market with ‘segmental body composition analysis’ - differentiating between fat and muscle in each limb - and an impressive array of radio wireless products that employ ANT+, Bluetooth and Wi-Fi protocols for remote monitoring and trend analysis. Oneweigh Teams up with Tanita in the UK to offer a range of of their class leading Tanita Body Composition Analysers including the Tanita BC545N. 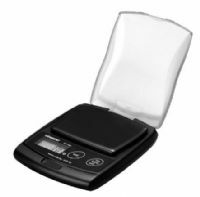 We also offer Tanita Bathroom Scales and Tanita Pocket and Jewelers Scales including the worlds most popular jewellery scale for the serious amateur or hobbiyist, the Tanita 1479V.